Home > News & Blogs > Medical Negligence > Breast Cancer: Was Your Medical Treatment Negligent? 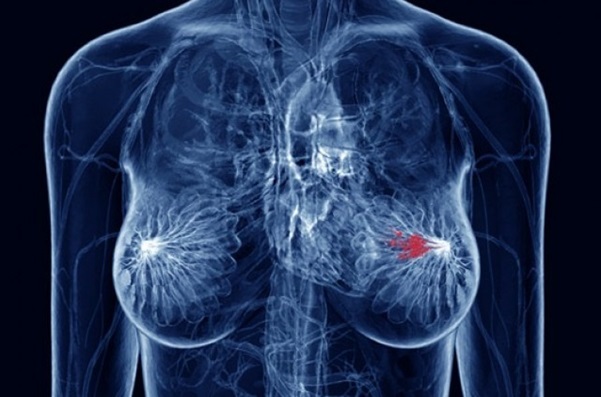 Breast Cancer: Was Your Medical Treatment Negligent? cancer. According to these statistics, you will know at least one person in your lifetime who will be affected. Yet for a condition which is so well known amongst both doctors and the public, it is still not immune from negligence. There is a wide range of medical treatments for breast cancer, so how do you know if your care has been negligent? If it has been, what can be done? Breast cancer can affect both men and woman, of varying ages. However the majority of breast cancer patients are women over the age of 50. This is cancer in the breast ducts, which has not developed the ability to spread outside the breast. According to NHS Choices, the most common type of non-invasive cancer is ductal carcinoma in situ (DCIS). This is the most common form of breast cancer. It develops in the cells that line the breast ducts and has the ability to spread outside the breast, although it doesn’t necessarily mean that it has spread. The type of treatment that you have will depend on the type of cancer you have, how advanced it is and on your general health. However generally speaking, the most common types of treatment for breast cancer are surgery (to remove the cancerous tumour or all the breast tissue), chemotherapy, radiotherapy or hormone therapy. It’s not uncommon to receive a mixture of treatment options, to ensure that your cancer is effectively treated. In order to consider the common areas where breast cancer negligence may occur, it’s important to set out what ‘negligence’ actually means. In order to succeed with a claim, you must prove both of these elements. To do this, your solicitor will obtain evidence from an independent medical expert. Unfortunately, medical treatment for breast cancer can sometimes result in a negligence claim for compensation. Failings in breast cancer care can have a devastating impact on a patient – and can cause their symptoms to worsen and cancer to spread, minimising their treatment options and shortening their life expectancy. If the treatment provided has been unacceptable and caused a further injury, the patient will be entitled to compensation. Breast cancer is typically diagnosed when a patient either attends their GP and is referred for further specialist assessment, or during a routine mammogram screening. Women aged between 50 and 70 are invited for screening mammograms every 3 years in England and Wales. Whilst failing to comply with NICE guidelines does not necessarily prove negligence, it is a very good indication that your treatment may have been inappropriate. Patients who have attended their GP with any of the symptoms above and not been referred as advised may have a claim for medical negligence, if they can prove that this failure caused them a further injury. In respect of screening mammograms, the most common type of negligence happens when there is a failure to spot cancer on the mammogram. This is likely to be the fault of the radiologist or sonographer who reviews the mammogram and prepares a report detailing the findings. If breast cancer has been missed during a routine screening mammogram, it may be that this is then not picked up for a further three years – which could have a serious impact on the patient’s health. There may also be failings in histology, when biopsies are incorrectly interpreted and cancer is missed. Once you have been diagnosed with breast cancer, you will most likely be under the care of an Oncologist or Breast Surgeon. Along with other doctors involved in your care, they will prepare a treatment plan. Unfortunately, the treatment that has been chosen or provided can sometimes be unacceptable. This can cause the patient’s cancer to spread, limiting their treatment options and life expectancy. Surgery: surgery can be used to remove either the cancer (a lumpectomy or wide local excision) or all the breast tissue (a mastectomy). However there can be negligence when the cancer is not properly removed, or if healthy breast tissue is unnecessarily removed. In the last few years, there have been numerous medical negligence claims for patients who have undergone ‘cleave sparing mastectomies’, a type of surgery that leaves some tissue behind but means that the patient is at a higher risk of suffering a recurrence of cancer. There may also be problems with reconstructive surgery, leading to uneven breasts or scarring. Radiotherapy/chemotherapy: radiotherapy, hormone therapy and chemotherapy are used to eradicate cancer, however they also attack healthy cells. As such, they must be used only when required and appropriately to ensure that the cancer is treated and that any damage to healthy tissue is limited. Patients who have suffered medical negligence for breast cancer are entitled to compensation. This money is to try to put the patient back in the position they would have been in had the negligence never occurred. The level of compensation awarded will be based on the extent of injuries and financial losses caused directly by the negligence. For injuries, this can commonly include the need for further treatment, scarring and reduced life expectancy. For financial losses, this can include loss of earnings, the need for future treatment and any equipment or adaptations you may need. As a medical negligence solicitor, I have investigated several breast cancer claims, and continue to do so today. I have successfully obtained compensation for patients and families of patients who have passed away due to negligence. At Bolt Burdon Kemp, we will fight to obtain the compensation that you deserve to move forward with your life. However we appreciate that breast cancer negligence can be incredibly difficult to deal with and we also put you in touch with practical support services, to help you cope physically and emotionally. There are also charitable organisations set up to help those affected and raise money for better care. Breast Cancer Care are a UK wide charity seeking to provide breast cancer patients with information and support. Please click here to find out more about Breast Cancer Care and how they can help you and your family cope.